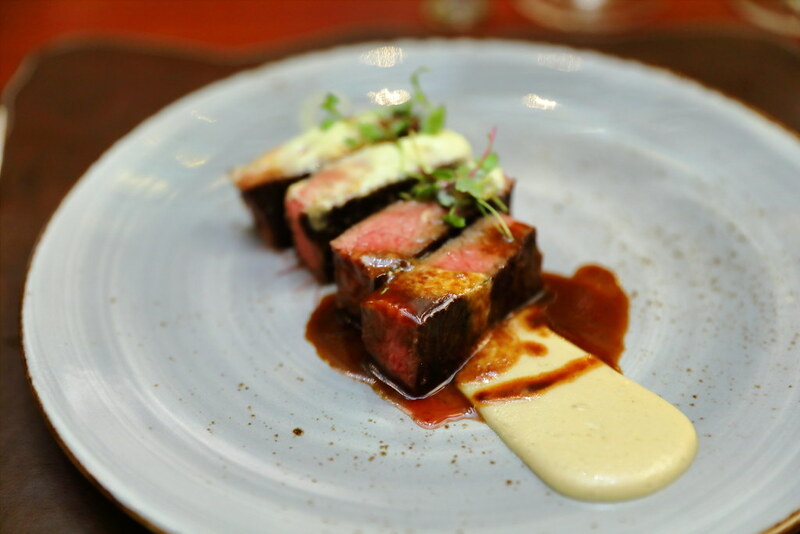 SKIRT at W Singapore is not known only as a steakhouse for its prime cuts of meat but it now offers an expanded menu that includes European dishes with a touch of Asian influences, under the new leadership of Head Chef, Justin Dingle Garciyya. 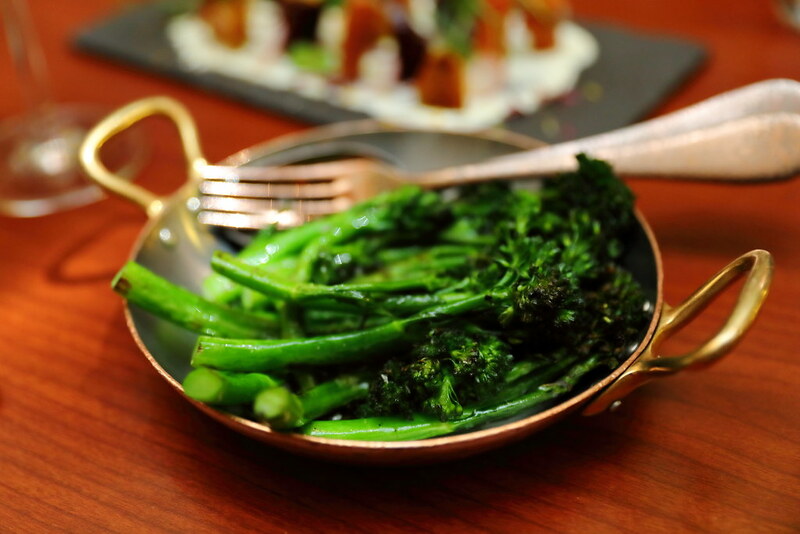 It is moving away from its steakhouse label, with more variety on the menu. Our dinner started with some warm house-baked Focaccia that is served with duck fat butter and smoked salt. 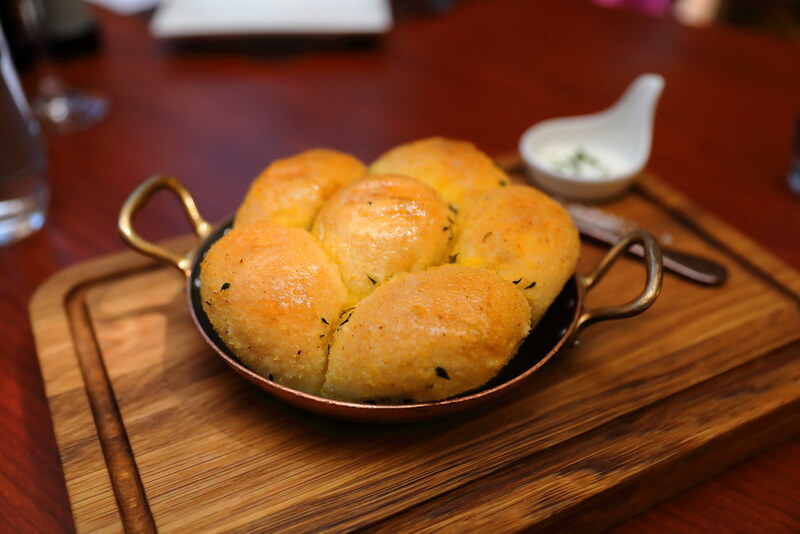 I would have stuffed myself with the fluffy bread if not for the reason that I am saving my stomach for the rest of the new menu. 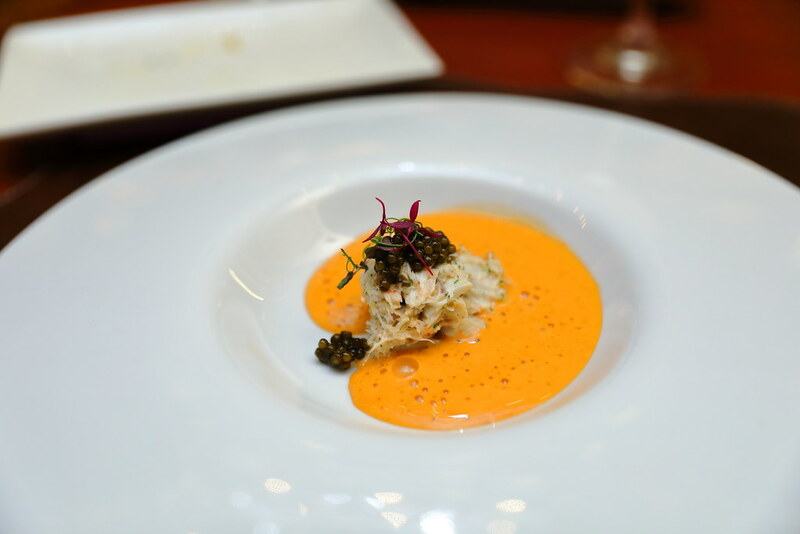 The Sri Lankan Crab & Caviar ($32) comes with luxe shreds of crab meat crowned with caviar. This is served in a creamy shellfish bisque. The bisque has that familiar curry flavour probably from the addition of lemongrass in it. Having the beef tartare alone can be a bit surfeit for some. 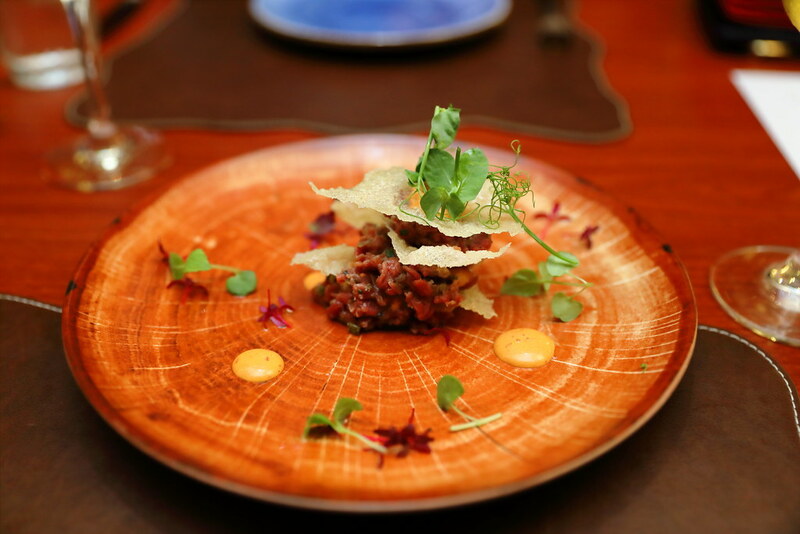 Hence I like the idea of the rice crispies that is paired with the Truffled Beef Tartare ($28). It gives the dish an enjoyable texture, so that one will not feel heavy eating it. I didn't thought I would enjoy the Veal Sweetbread & Foie Gras ($38) with mushroom which has been cooked in a red wine jus but I just could not help going back for more. 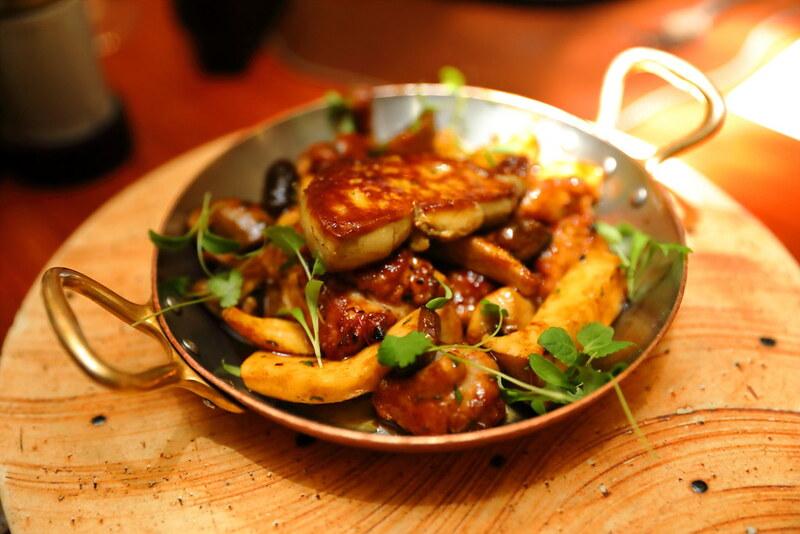 Besides the fatty foie gras, the red wine jus definitely plays a part in elevating the taste of the the veal sweetbread and mushroom. 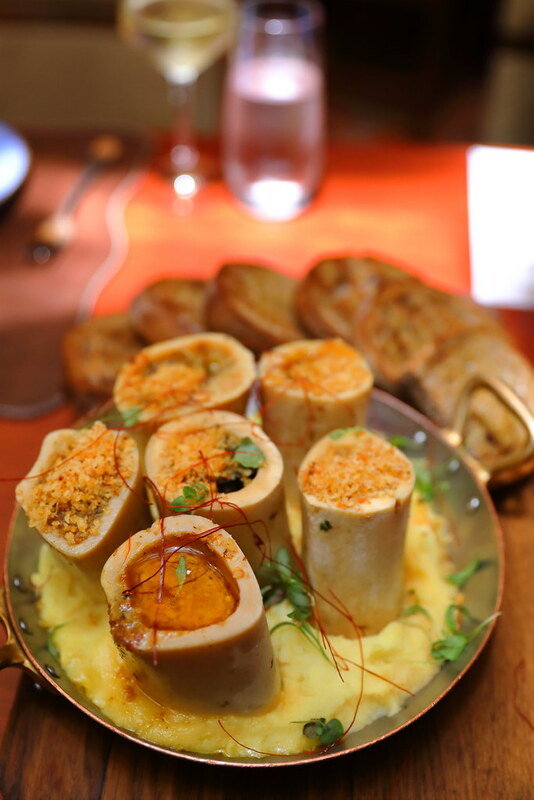 These Bone Marrow ($45) is a two-in-one dish with plump escargot inside the bone marrow, oven roasted with cafe de skirt butter. A visit to Skirt is not complete without trying the steak. 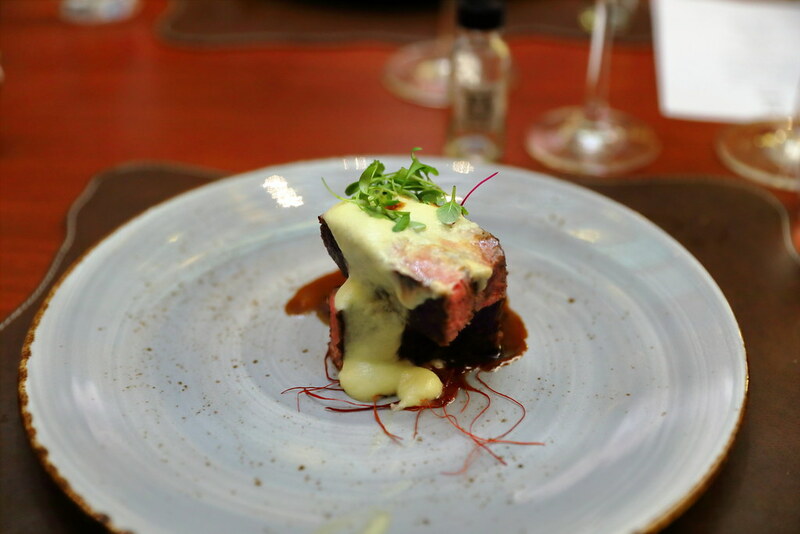 We had the Cape Grim Sirloin that is grilled to medium rare and dressed in sun choke foam. The beautiful pink piece of meat is tender and juicy, while the sauce did not steal the limelight from the beef, instead complementing it. You can also order a number of sides such as the Brocollini, Beets & Blunts, Lobster Mac & Cheese and Pommes Anna to go with the steak. 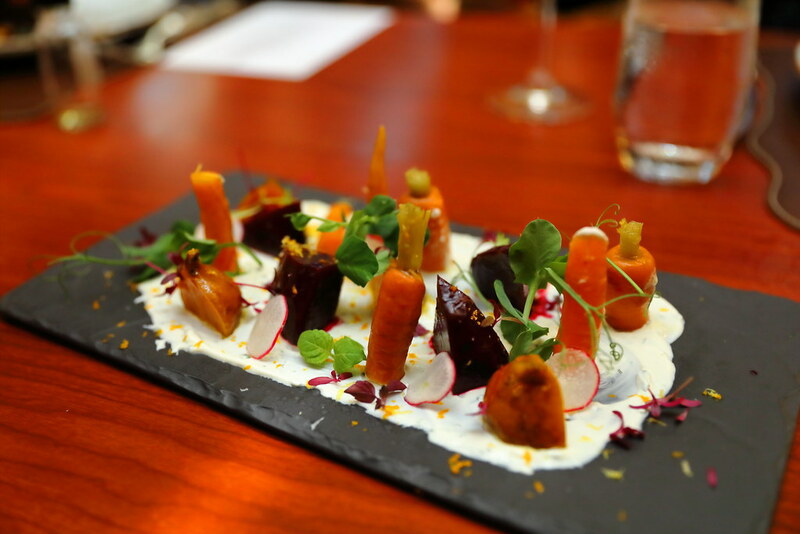 I like the pickled roots from the beets & blunts which helps to cut the richness. 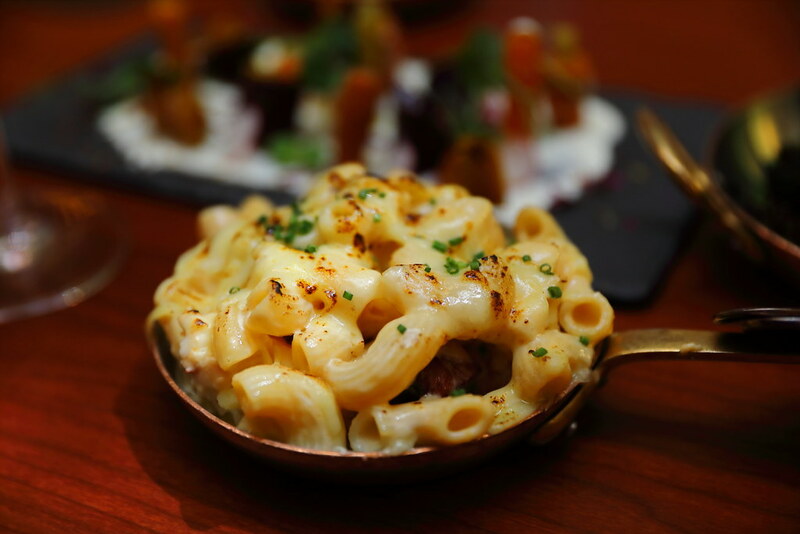 I would recommend going for the Lobster Mac & Cheese which is a luxurious upgrade from the classic with pieces of lobster meat. 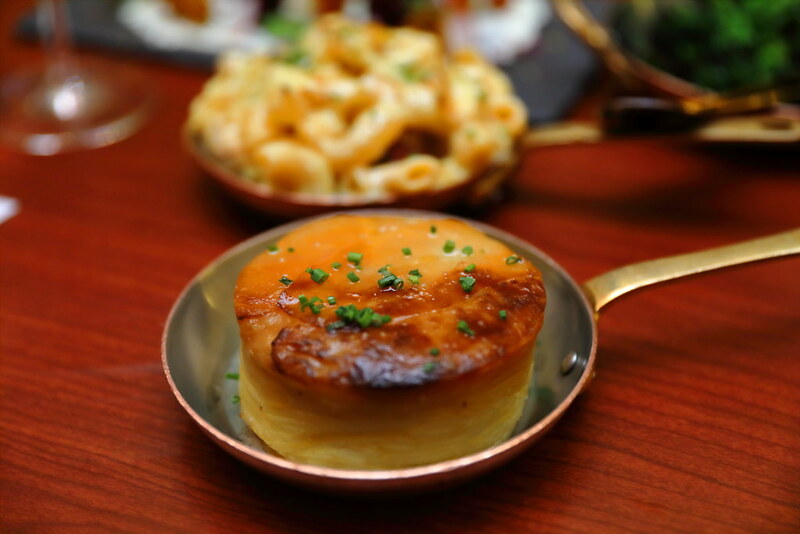 The Pommes Anna with thin layers of potato slices in melted butter, will get you savouring for more. I would strongly recommend you to save a space for the Banana Pizza ($18). 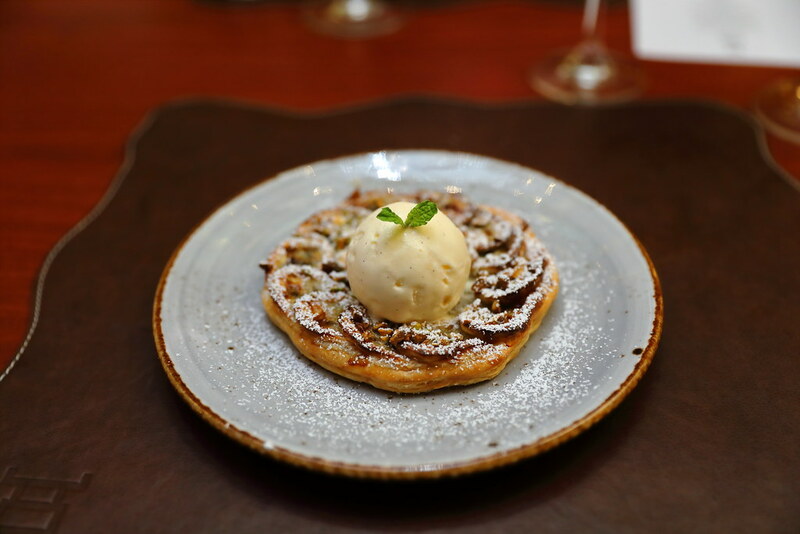 The combination of the sweetness of the banana and nutty caramelized pistachios, topped with a scoop of vanilla bean ice cream gives an enjoyable contrast that will delight the sweet tooth.